Welwyn Stable offers modern facilities on 65 acres including 21 large ventilated stalls with a 100x160 indoor arena with superb footing and appealing We -cover® roof which provides the whole barn with natural lighting. Welwyn also has an outdoor ring, hunt course consisting of water jumps, banks and other natural obstacles, old style round pen. 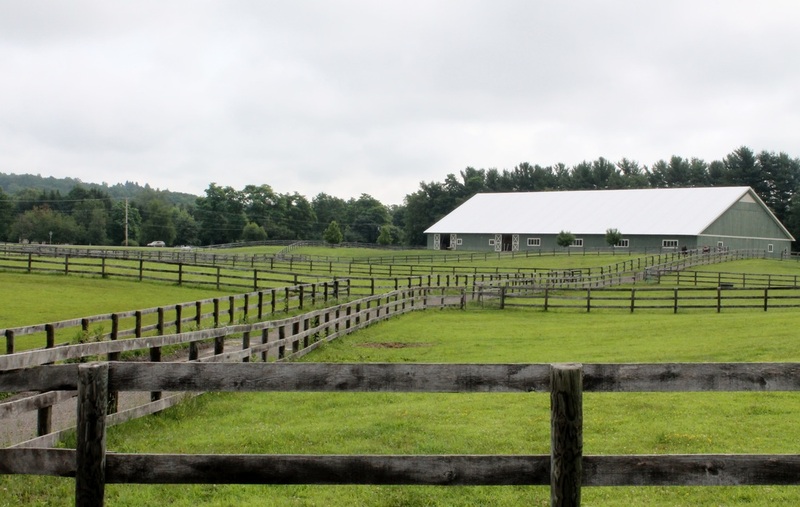 The boarding barn is equipped with an upstairs hayloft, tack trunk room, feed room, tack room, heated lounge/viewing room, office, two wash stalls and wide aisles that provide adequate room for grooming on cross ties. Welwyn Stable offers daily turnout on grazing paddocks with an option of single or paired turnout. Boarding at Welwyn also includes 24 hour on property supervision, Craig Thomas Pest Control®, Nutrition Evaluations, full time experienced staff and a friendly atmosphere. Basic Board: Empty stall, hay, feed, shavings, mucking, turnout, haying, watering, feeding, blanketing, daily supervision.